The distinctive fiddling style of Cape Breton, Nova Scotia has roots in the strathspeys and reels brought to Canada by early 19th-century Scottish immigrants. Emerald Rae Forman has mastered both Scottish and Cape Breton fiddling. She began her study with Boston based Barbara McOwen, renowned for her private library of Scottish music books. Emerald went on to compete in the US Scottish Fiddling Championships, winning the US National Champion title at 18 years old. She went on to earn degrees from Berklee College of Music and the University of Glasgow. Fiddle and dance are closely related; to become a great traditional fiddler, it helps to know the dance steps the fiddle tunes accompany. In 2011, Emerald Rae completed an MCC Traditional Arts apprenticeship in Irish step dance with Mass Cultural Council Artist Fellow Kieran Jordan. Emerald Rae works as a professional performer and teacher of multiple styles of fiddle and step dance. She leads workshop at the Boston Fiddle Club and has served on the Boston Celtic Music Festival. 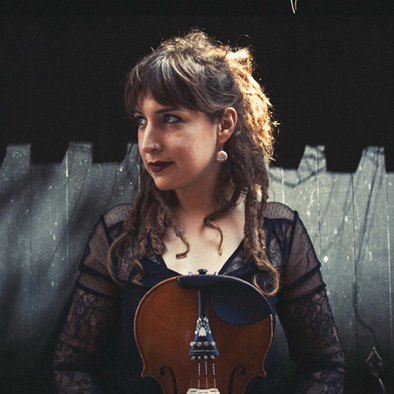 In 2016, the Mass Cultural Council awarded Forman a Traditional Arts Apprenticeship to mentor Elizabeth Kozachek in Scottish and Cape Breton fiddling. In 2018, the Mass Cultural Council awarded Forman an Artist Fellowship Finalist award in the Traditional Arts.